The Marlink Humanitarian & NGO team recently organised a special technology and innovation day for humanitarian agencies and NGOs in Geneva. Nearly 40 stakeholders attended the seminar which was hosted by the Permanent Mission of Norway in Geneva. The seminar focused on the latest innovations for business-critical connectivity and green energy solutions tailored to humanitarian organisations. 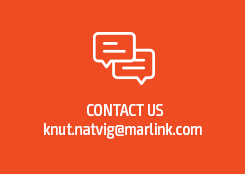 The event was supported by the Norwegian Emergency Preparedness System (NOREPS/Innovation Norway) to whom Marlink has a long-term relationship as being one of the founding members and part of the Advisory Board. The organisation, mandated by the Norwegian Ministry of Foreign Affairs, has the objective to foster innovation of smarter and better solutions to carry out humanitarian operations and development projects. 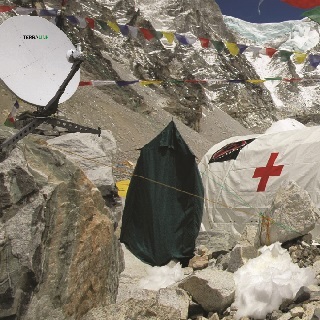 The Humanitarian & NGO team presented Marlink’s significant involvement in humanitarian missions and its portfolio of satellite and hybrid solutions to cater connectivity needs during critical missions of their NGO partners. The energy company Eltek, likewise a NOREPS member, also attended the seminar to showcase its partnership with Marlink in providing renewable green energy solutions in combination with satellite connectivity installations. The event also provided a welcome opportunity for experts to discuss technical details, possibilities and needs whilst testing and observing the technology in action. 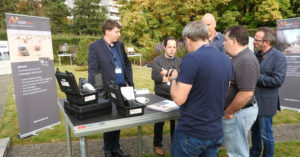 Several hands-on demos were organised to showcase quick-deploy satellite solutions, such as Terralink Fly-away VSAT systems with global coverage, Cobham SATCOM’s Global Xpress, MSS devices, tracking and IOT solutions. "This seminar specially dedicated to the humanitarian agencies and NGOs was a great success. 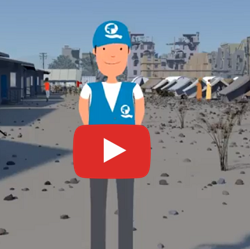 The timing was perfect to present Marlink’s portfolio and capabilities as an active key partner in the humanitarian community," commented Per Rune Iversen, VP Sales. "Norway is a significant contributor to humanitarian organisations and NGOs and Marlink is involved more than never in the projects with the Permanent Mission of Norway in Geneva and Innovation Norway/NOREPS". The seminar was also an ideal opportunity to present Marlink’s new Humanitarian segment video showcasing its digital communication solutions to humanitarian organisations.